Flexible content and easy customization make our Banner Rotator a great addition to any page in your shopping cart. Include images, text, graphics, video and more to engage customers and increase sales conversion. The v10 is fully RESPONSIVE! Eye-catching and engaging, a rotating banner adds great visual interest to any page on your ecommerce site. Show off product images, offer additional information and videos, or display special deals. Great as a focal banner on your homepage or as a smaller content rotator on category pages, our Banner Rotator is easy to manage right from your shopping cart. 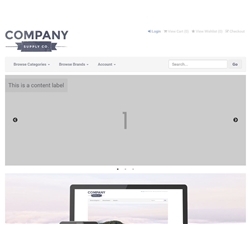 Easily add rotating content to any page in your shopping cart with our jQuery Banner Rotator!